The law of 23 October 2011 on competition (the 2011 Law), as amended, governs the behaviour of dominant firms. Article 5 of the 2011 Law prohibits one or more undertakings from abusing a dominant market position and basically mirrors article 102 of the Treaty on the Functioning of the European Union (TFEU). The law of 5 December 2016 on certain rules governing actions for damages for competition law infringements (the 2016 Law) aims at improving the effectiveness of private enforcement as to infringements of European Union and national competition law and fine tuning the interplay between private damages actions and public enforcement by the European Commission and national competition authorities. [A] position of economic strength enjoyed by an undertaking which enables it to hinder the maintenance of effective competition on the relevant market by allowing it to behave to an appreciable extent independently of its competitors and customers and ultimately of consumers. The same position has been taken by the Competition Council (see question 26), which regularly refers in its decisions to the definition given by the CJEU and the Communication from the Commission regarding guidance on the Commission’s enforcement priorities in applying article 82 of the EC Treaty to abusive exclusionary conduct by dominant undertakings (the Commission’s guidance on article 102 enforcement priorities). In its decision 2016-FO-04 Utopia (see question 24), the Competition Council stated that three elements are taken into account when determining the market power of an undertaking, namely: market shares; potential impact of expansion by actual competitors or entry by potential competitors; and countervailing buyer power. In the same decision, the Competition Council claimed that the undertaking in question held a (quasi-)monopoly position characterising a ‘superdominance’, so that it had even greater responsibility towards the other market players not to adopt behaviour that affects the competitive structure of the market, which is already affected by the presence of a (quasi-)monopoly. According to the preparatory parliamentary documents of the Law of 17 May 2004 on competition that has been repealed by the 2011 Law, which are not legally binding, the underlying standard is almost identical to the standard applicable under article 102 of the TFEU, which is an economic one. The economic object of Luxembourg competition law was further explained in the preparatory documents of the 2011 Law. In accordance with these documents, the object of the 2011 Law is the protection of competition as an instrument to achieve competitiveness, on both macro- and micro-economic levels. The decisions rendered by the Competition Council confirm the economic approach. the gas sector (Law of 1 August 2007 on the organisation of the natural gas market, as amended). One of the main functions of the ILR is to open the postal, electronic communications, gas and electricity markets to competition. In accordance with article 76(2) of the ILR Law, the jurisdiction of the ILR should not interfere with that of the Luxembourg competition authorities, even though in practice such interference may occur. It should be noted that behaviour may be qualified as an abuse of a dominant position even though it had been approved by the ILR (decision 2014-FO-07 - Entreprise des Postes et Télécommunications, subsequently annulled, albeit on different grounds, see question 15). The 2011 Law applies to private entities, whether they are natural or legal persons, and to public entities. The determining criterion is whether an entity qualifies as an undertaking. In several decisions, the Competition Council expressly referred to the definition given by the CJEU in the judgment of 23 April 1991 in the Höfner case (C-41/90) according to which the concept of an undertaking encompasses every entity engaged in an economic activity, regardless of the legal status of the entity and its financing modus. Because article 5 of the 2011 Law mirrors article 102 of the TFEU, only the abuse of a dominant position by one or several undertakings is prohibited by the 2011 Law. The 2011 Law does not cover the conduct of non-dominant companies attempting to become dominant. The 2011 Law prohibits, as does article 102 of the TFEU, ‘any abuse by one or more undertakings of a dominant position’. Consequently, the 2011 Law covers collective dominance. The definition used by the Competition Council to define a collective dominant position and to set the conditions that must be fulfilled are therefore identical to those found in EU law (CJEU, judgment of 6 June 2002 Air Tours, T-342/99) (decision 2007-FO-03, Le Foyer Assurances). The 2011 Law does not differentiate between dominant purchasers and dominant suppliers, so it applies equally to both dominant suppliers and dominant purchasers. Owing to the absence of any decision of the Competition Council on this matter, no opinion can be expressed on whether the 2011 Law would be applied differently to dominant suppliers and dominant purchasers. The Competition Council regularly refers to the methodology used in EU law and in particular to the Commission notice on the definition of the relevant market. With respect to the relevant product market, it results from the Competition Council’s decision-making practice that the determining concept is substitutability, both of demand and supply. Regarding the geographic market, the Competition Council regularly makes reference to the concept of homogeneity as defined in the Commission’s notice on the definition of the relevant market. The 2011 Law does not define a market share threshold at which an undertaking will be presumed to be dominant. In its Utopia decision (see question 24), the Competition Council considered that a market share above 70 per cent will lead, unless there are exceptional circumstances, to a rebuttable presumption of dominance. making the conclusion of contracts subject to acceptance by the other parties of supplementary obligations that, by their nature or according to commercial usage, have no connection with the subject of such contracts. In its Tanklux decision 2009-FO-02, the Competition Council stated that the object and the effect of the practice in question (the introduction of provisions on the choice of the transport undertaking in storage agreements by a company in a monopolistic situation on the storage market) was to foreclose the transport market and to prevent other undertakings from entering into this market and that such a foreclosure had, at least, potential negative effects on consumers. The Competition Council then concluded that the practice was an abuse of dominant position on the basis that the anticompetitive object of the practice was characterised by the fact that such practice was of such a nature as to prevent oil companies from using other transport undertakings and to prevent other undertakings from entering into the transport market. The Competition Council seemed to apply both approaches by referring to the object of the relevant practice and to its effect. The Competition Council stated in its Utopia decision (see question 24) that an abuse of dominance must produce anticompetitive effects that cause prejudice to the consumers. In its decision 2014-FO-07 (Entreprise des Postes et Télécommunications, see question 15), the Competition Council also adopted an effect-based approach by analysing whether the practices in question had anticompetitive effects on the market. During the subsequent proceedings before the administrative tribunal, the Competition Council argued, however, that fidelity rebates that have effects similar to exclusive dealing agreements constitute a per se violation of article 102 of the TFEU and article 5 of the 2011 Law. In its judgment of 21 November 2016, the administrative tribunal rejected the approach based on a per se violation and ruled that there should be a concrete assessment of foreclosure effects. This analysis was confirmed by the administrative court (see question 15). The concept of abuse covers exploitative practices (eg, unfair prices) and exclusionary practices (eg, refusal to supply, tying). Given that the 2011 Law mirrors article 102 of the TFEU, the assessment is the same as under EU law, so that the existence of a dominant position is a necessary condition for the application of article 5 of the 2011 Law. However, there does not need to be a causal link between the dominant position and the conduct in question. Furthermore, dominance, the abuse thereof by one or several undertakings and the effects of the abuse must not necessarily occur in the same market. The 2011 Law does not provide for any defences. As article 5 of the 2011 Law mirrors article 102 of the TFEU, the Competition Council in principle follows the approach adopted in EU law. In its 2007-FO-01 Tanklux decision relating to a refusal to grant access to heating fuel storage facilities, the Competition Council considered that the refusal by a dominant undertaking to enter into commercial relations with another undertaking may be considered as a form of abuse of dominant position in the absence of any objective justification for such refusal. In this case, the absence of additional storage capacities was accepted as a valid defence by the Competition Council. In its Tanklux decision 2009-FO-02 on an alleged abuse of dominance on the market for transport of petroleum products, the Competition Council expressly referred to the Commission’s guidance on article 102 enforcement priorities. The Competition Council recognised that the practice in question was legitimate, produced efficiency gains (even if limited) and guaranteed and improved the national supply of oil in terms of security and reliability. The Competition Council concluded on these grounds that the behaviour of the company was justified and decided to close the file. The question of economic efficiencies and objective justifications was also addressed by the Competition Council in the decision 2010-FO-02 Coditel (see question 15). Nevertheless, the Competition Council decided that the mitigating factors raised by the undertaking did not objectively justify the practices of tying and exploitative prices. Therefore, it considered that the undertaking abused its dominant position. In its Utopia decision by which it decided that the acquisition of a competitor may constitute an abuse of dominance (see question 24), the Competition Council applied the ‘failing firm’ defence set out in the Commission’s guidelines on the assessment of horizontal mergers and considered that the acquisition did not have anticompetitive effects on the market. Furthermore, the Competition Council considered that the acquisition was in line with the objectives of the TFEU, by stressing in particular the fact that it helped to maintain jobs. However, this factor was only found relevant in the specific merger context. To our knowledge, the Competition Council has not yet expressly taken a position on the question of whether it would accept defences if exclusionary intent is shown. Rebate schemes may constitute an abuse of dominance under article 5 of the 2011 Law. In 2013, the Competition Council ruled on a case that dealt with an alleged abuse of dominant position related to retroactive fidelity rebates and other financial incentives granted by Luxair, the Luxembourg national airline, in favour of travel intermediaries. In this case, the Competition Council decided not to analyse the practices as no dominant position was found (2013-FO-04, Luxair). Tying and bundling are caught by article 5 of the 2011 Law. In the Coditel decision 2010-FO-02, a cable TV operator was found to have abused its dominant position in the market by, inter alia, using tying practices. The operator had used tying contractual arrangements whereby the consumer was only entitled to obtain the cable TV subscription (the tying service) if he or she also agreed to subscribe to other tied products and services. In practice, the subscribers had to purchase a decoder commercialised by Coditel (the set-top box, the tied product), without having the choice to purchase a decoder from a competitor. Further, the operator deliberately restricted the subscribers’ choice in offering them a few types of decoders containing some technical functions that not all of the operator’s subscribers wanted to have, whereas a decoder without these technical functions did exist but was deliberately not offered by the operator to its subscribers. In its Entreprise des Postes et Télécommunications decision 2014-FO-07, the Competition Council stated that bundled discounts (ie, discounts that only apply if the customer purchases all the services or products making up the offer) may be regarded as loyalty rebates because they may have the same restrictive effects on competition. The Competition Council came to the conclusion that the bundled discount in question is an exclusionary practice as it was an incentive for customers to exclusively purchase from the dominant undertaking. The decision was challenged before the administrative tribunal, which issued a ruling on 21 November 2016 annulling the Competition Council’s decision. The judges considered, inter alia, that bundled discounts cannot be assimilated with loyalty rebates or exclusive agreements and that bundled discounts rather constitute a mixed bundling, also called multi-product rebate. Hence, the Competition Council applied, in the judges’ view, the wrong methodology when assessing whether there is an abuse of dominance. The judgment was confirmed on appeal by the administrative court (judgment of 1 June 2017, case 238930C), albeit on different grounds. In the case of decision 2015-RP-04 B&J Engineering v BMW, the plaintiff claimed that a car manufacturer had organised tying practices by selling its cars with an integrated board computer. The Competition Council found that the car manufacturer was not in a dominant position but also stressed that such practice cannot be considered as tying because there are no separate markets, neither for cars without board computers nor for board computers that are not integrated in a car. Most recently, the Competition Council considered that a tying practice consisting of renting out a performance venue together with auxiliary services (security, cleaning, sale of food and beverages, etc) was justified, given that, without the auxiliary services, the renting out of the performance venue would be an activity generating losses (2016-FO-02 Rockhal). 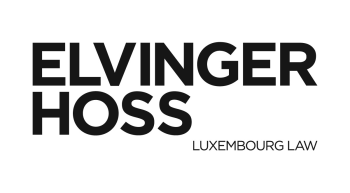 Under Luxembourg law, exclusive dealing may amount to an abuse of dominance. In 2012, the Competition Council rendered a commitment decision that dealt, inter alia, with territorial exclusivity in favour of a press supplier that was dominant in the relevant market of press distribution. In the statement of objections, the appointed councillor reached the preliminary conclusion that the contractual clause contained in the distribution agreement entered into with the retailers was likely to constitute an abuse of dominant position within the meaning of article 102 of the TFEU and article 5 of the 2011 Law. The undertaking proposed several commitments addressing the concerns raised by the plaintiffs and the statement of objections, so that a commitment decision was rendered by the Competition Council on 23 November (2012-E-04 Valora). In its Entreprise des Postes et Télécommunications decision 2014-FO-07, the Competition Council set out that bundled discounts may have effects similar to exclusive dealing agreements insofar as they incite customers to purchase exclusively from the dominant undertaking. This decision was subsequently annulled (see question 15). In 2015, the Competition Council accepted commitments offered by a TV operator to modify its clauses contained in a contract concluded with the Luxembourg Basketball Federation (2015-RP-03 Simba Pro v CLT-UFA). The TV operator agreed that its exclusive broadcasting rights would not prohibit the transmission of sport events by another undertaking the following day of the transmission. Predatory pricing may constitute an abuse of dominance under Luxembourg law. In its decision 2013-RP-02 Entreprise des Postes et Télécommunications, the Competition Council dealt with predatory prices in the internet service providers sector. Following a complaint lodged by an undertaking operating in the market, the Competition Council analysed whether the prices offered by the internet service provider in question could be qualified as predatory, namely, whether they were so low that other firms competing in the relevant market were not able to compete and were thus forced to leave the market. The Competition Council considered that the relevant concept for cost analysis for network industries was the ‘Long Run Incremental Cost’. It follows from this decision that recoupment does not seem to be a necessary element for the Competition Council but may, however, be taken into account in case predation does not unambiguously result from the cost analysis. Most recently, the Competition Council dealt with a case where the plaintiff claimed that an undertaking applied predatory prices for industrial laundry services (2016-RP-08 Forum pour l’Emploi). The Competition Council analysed whether the allegedly dominant undertaking systematically applied prices that are below average variable costs by using the ‘as-efficient-competitor test’. The Competition Council applies average variable cost as the benchmark. Price or margin squeezing are covered by article 5 of the 2011 Law. The Competition Council’s Entreprise des Postes et Télécommunications decision 2014-FO-07 dealt, inter alia, with margin squeezing. The plaintiff claimed that a telecommunications service provider abused its dominant position by leaving an insufficient margin between the wholesale and the retail rates applied to telephone subscriptions. This argument was, however, rejected by the Competition Council because there was no proof that the wholesale rate resulted in a margin squeeze. In its very first decision (2007-FO-01 Tanklux), the Competition Council confirmed that the refusal by a dominant undertaking to enter into commercial relations with another undertaking may be considered as a form of abuse of dominant position in the absence of any objective justification for such refusal. The refusal to grant access to essential facilities may also be a form of abuse of dominant position. The conditions set forth by the Competition Council as regards access to essential facilities are identical to those used in EU law. In a 2017 decision (2017-C-02 Amazon Services Europe), regarding an alleged abuse of dominance resulting from a unilateral decision by Amazon to put an end to the contractual relationship with a company selling through its internet platform without prior notice, the Competition Council considered, in essence, that the unilateral termination of a contractual relationship without objective justification, as such, is not sufficient to establish an abuse of a dominant position consisting in the exclusion of a competitor from the market. In the case at hand, no evidence was found of any exclusionary intention on Amazon’s side. Also, an objective justification was given for the termination of the agreement, namely the repeated infringement of Amazon’s terms and conditions by the complainant. The Competition Council rejected the argument that Amazon’s platform was to be considered as an essential facility since it was not established that it was indispensable for the complainant’s business activity given the existence of numerous competing platforms. The Competition Council has not yet rendered a decision on this issue. Price discrimination is expressly referred to in article 5 of the 2011 Law as an example of abuse: applying dissimilar conditions to equivalent transactions with other trading parties, thereby placing them at a competitive disadvantage. In its POST Telecom decision 2014-E-05, the Competition Council reached the preliminary conclusion that a mobile provider was likely to have committed an abuse of dominant position by applying discriminatory prices in favour of existing clients (discrimination between calls made within the provider’s network and calls made to other providers), which led to network effects. The Competition Council finally accepted the commitments offered by the provider. Exploitative prices or terms of supply may constitute an abuse of dominance. In the Coditel decision 2010-FO-02, a company operating on the cable TV distribution market was found to have abused its dominant position for, inter alia, having charged exploitative prices to consumers (the company had charged an unjustified subscription fee). The Competition Council concluded that the billing practices were anticompetitive and, therefore, constituted an abuse of dominant position. The concept of exploitative prices was further recalled by the Competition Council’s Editus decision 2014-RP-01. In this case, a complaint was lodged for alleged exploitative prices charged by a leading undertaking operating in the publishing sector. After an analysis of the prices charged by the undertaking, the Competition Council considered that in order to qualify the concerned pricing practices as exploitative, the costs actually incurred by the undertaking and the price actually charged for the service rendered must be excessive. As such evidence was not found, the Competition Council dropped the case. In the case having led to the Rockhal decision 2016-FO-02, the Competition Council also examined whether the dominant undertaking charged excessive prices for the renting out of a performance venue but came to the conclusion that this was not the case in view of the costs to be borne by the undertaking. In the absence of a specific merger control regime under national law, mergers and acquisitions are caught by article 102 of the TFEU and article 5 of the 2011 Law. According to the Competition Council’s Utopia decision, the EU Merger Regulation does not reduce the scope of article 102 of the TFEU or of article 5 of the 2011 Law. In this decision, the Competition Council stressed its authority to exercise an ex post control of mergers that strengthen a dominant position by using, in the absence of a specific merger control regime at national level, the provisions prohibiting the abuse of a dominant position. On the basis of the judgment of the CJEU of 21 February 1973 in Continental Can (C-6/72), the Competition Council stated that the acquisition of a competitor may constitute an abuse of a dominant position if it affects the structure of the market to such an extent that the dominant undertaking faces no competitive pressure from its remaining competitors as they do not represent a real counterweight. The Competition Council applied the ‘failing firm defence’ and closed the case without further action on the grounds that the acquisition did not have anticompetitive effects. No specific abuses are excluded by the 2011 Law. The Competition Council, a collegial body composed of four members, namely the President and three councillors, is responsible for enforcement of article 5 of the 2011 Law and article 102 of the TFEU. The councillor in charge of the investigation of a case is not entitled to take part in the deliberations and decisions of the Competition Council regarding that case. The members of the Competition Council are assisted by investigators in the performance of their duties. The Competition Council can issue requests for information, interview natural or legal persons and conduct inspections as well as dawn raids. Failure to comply with a request for information made by decision pursuant to article 14(2) of the 2011 Law may lead to a fine of up to 5 per cent of the total turnover of the last financial year. The Competition Council may also impose periodic penalty payments per day of non-compliance of up to 5 per cent of the daily turnover of the last financial year. If an abuse of dominant position by one or several undertakings has been ascertained, in accordance with Article 11 of the 2011 Law, the Competition Council may order the undertaking to stop the conduct by imposing any coercive measures proportionate to the infringement committed and necessary to stop the infringement. Given that the 2011 Law does not expressly provide for structural remedies, it is unclear whether the Competition Council has the power to impose such remedies. From our practice, it appears that the measures proposed by the Competition Council are in principle complied with by firms. In case the practice could cause irreparable harm to the public economic order or to the plaintiff, Article 12 of the 2011 Law allows the Chairman of the Competition Council to award interim injunctions and impose periodic penalty payments in order to compel the undertaking to comply. Pursuant to article 20(2) of the 2011 Law, the Competition Council may fine undertakings that are in breach of the 2011 Law or of article 102 of the TFEU. The amounts of the fines are to be fixed on a case-by-case basis and will depend, inter alia, on the duration and the gravity of the infringement. The maximum fine shall not exceed 10 per cent of the highest worldwide turnover (excluding taxes) that has been realised during one of the full financial years since the financial year preceding the year during which the anticompetitive practices have been committed. In the case of consolidated accounts, the turnover to be considered is the turnover stated in the consolidated accounts of the mother company. In 2014, the Competition Council imposed a fine of €2.52 million on a telecommunications service provider for abuse of dominance. This decision was, however, annulled (see question 15). Pursuant to the 2011 Law, the fines and sanctions are imposed on the undertaking having committed the infringement. As undertakings, especially those with significant market power, are organised in the form of companies, individuals may not, in principle, be fined or sanctioned. The Competition Council may directly impose sanctions. In 2015 and 2016, the Competition Council rendered eight decisions regarding allegations of abuse of dominance. The Competition Council either dismissed the cases without further action or accepted the commitments offered by the undertaking. In 2017, one decision was rendered on an alleged abuse of dominance (see question 19). The length of dominance proceedings varies considerably, depending on the complexity of the case. A decision of the Competition Council may be rendered within less than a year from the referral of the case to the Competition Council, but it may also take several years. In the case having led to the Entreprise des Postes et Télécommunications decision 2014-FO-07, it took more than seven years from the filing of the complaint to the decision by which the Competition Council imposed a fine of €2.52 million. This is the highest fine ever imposed by the Competition Council for an abuse of dominance. In its ruling of 21 November 2016, the administrative tribunal stressed that the proceedings exceeded a reasonable period and annulled the Competition Council’s decision for several procedural and substantive reasons. This judgment was confirmed on appeal (see question 15), the administrative court stressing in particular the unreasonable length of the administrative procedure as one of several determining factors justifying annulment. The 2011 Law does not contain provisions concerning the consequences of infringements of article 5 of the 2011 Law or article 102 of the TFEU on the validity of contractual clauses. In principle, a clause that constitutes an abuse of dominance is void. In such case, the courts would consider the entire contract void only if the relevant clause is not separable from the remainder of the contract. The 2011 law does not contain provisions on private enforcement. Ordinary courts are competent for the private enforcement of competition rules. Only courts have jurisdiction to invalidate a provision or contract and to grant damages. In this respect, the 2016 Law contains provisions aiming at facilitating actions for damages through the introduction of specific procedural rules before the court. The claimant may also seek interim relief before the summary judge in order to put an end to a prima facie unlawful situation if: the claim is urgent; the order is sought to avert a situation that would cause irreparable harm to the plaintiff; or the order is sought to remedy an unlawful situation that has already occurred. In accordance with article 11 of the 2011 Law, the Competition Council may impose any remedy on an undertaking that has abused its dominant position that is proportional to the infringement and necessary to stop the infringement. Consequently, the Competition Council may, for example, grant access to essential facilities to a competitor of the dominant undertaking or order the dominant undertaking to supply goods and services. Companies harmed by abusive practices have a claim before civil and commercial courts pursuant to Luxembourg tort law. Hence, the claimant will need to prove a fault, damage and a causal link between the two. The 2016 Law implementing Directive 2014/104/EU of 26 November 2014 on antitrust damages actions aims, however, at facilitating actions for damages and introduces a set of presumptions with respect to the existence of an infringement of competition law and its effects. To our knowledge, Luxembourg courts have not yet ruled on actions for damages for abuse of dominance. Decisions of the Competition Council finding an abuse may be challenged before the administrative tribunal. An appeal against the judgment of the administrative tribunal may be lodged with the administrative court. Both the administrative tribunal and the administrative court review the facts and the law. The 2011 Law does not provide for any rules applying to the unilateral conduct of non-dominant firms. Article 5 of the 2011 Law mirrors article 102 of the TFEU, so that Luxembourg law relating to the unilateral conduct of undertakings is as strict as article 102 of the TFEU. No specific changes are foreseen to the 2011 Law. Considering the judgment of the administrative court of 1 June 2017 in case Entreprise des Postes et Télécommunications, specifically stressing the importance to render competition law decisions within a reasonable time, it can be expected that the Competition Council will pay particular attention to the length of administrative procedures in the future. This judgment also confirmed the need of an effects-based analysis in abuse of dominance cases, an approach that is, however, already adopted by the Competition Council.